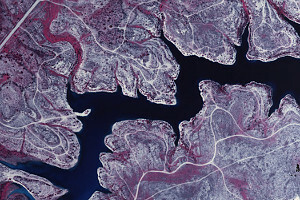 Aerial Data Service, Inc. (ADS) has been providing geospatial solutions since 1964. With headquarters in Tulsa, Oklahoma, ADS provides aerial photography and mapping services to hundreds of engineering firms and governmental agencies across the country. ADS is dedicated to providing quality work using the most sophisticated technology available in the industry. ADS is a 100-percent woman-owned small business and certified through the U.S. Small Business Administration as a Historically Underutilized Business (HUBZone). ADS employs innovative surveying and mapping professionals, including two American Society of Photogrammetry and Remote Sensing (ASPRS) Certified Photogrammetrists, an ATP Rated Professional Pilot, and a Registered Professional Land Surveyor (Oklahoma and Arkansas).